Eligible projects can be submitted to any of the AIA Baltimore Excellence and Design Awards categories with the exception of Unbuilt Architecture—projects must be built to be eligible. The award will be given at the jury’s discretion. According to racial equity designer Antionette Carroll, “The route to achieving equity will not be accomplished through treating everyone equally. It will be achieved by treating everyone equitably, or justly according to their circumstances.” In her work, this means outcomes are not predictable based on race. Social equity in design is driven by equitable processes resulting in equitable projects. The more inclusive and community-driven the process, the better the design. worship, and do business there. Everyone deserves access to good design. Well-designed places enhance healthy cultural and democratic life in ourneighborhoods. historically marginalized from design conversations? Describe how the demographics of those engaged compares with the overall demographics of potential project stakeholders. How was the project designed with project stakeholders rather than for project stakeholders? Submissions are encouraged to demonstrate local stakeholders’ power in the design process from the programming and pre-schematic phases through operations and maintenance. Describe the composition of any steering committee, board, or other decision making structure in the design process. How does the project demonstrate leadership in social equity? How did the applicant articulate the values of social equity during the process and share back with partners? How does the project enhance the surrounding neighborhood’s access to and/or experience of public space? Are the project’s outdoor and appropriate indoor spaces inviting to the public and not exclusive to project residents or members? How does the project increase economic opportunities for existing neighbors, especially those from marginalized demographics? How does the project resist the traditional narrative of gentrification pushing out resident populations? Was there any local job creation or workforce development during the design and/or construction process? How does the project enhance and celebrate the existing identity or identities of its place? How does the project approach issues of poverty, past or present disinvestment, or historic redlining that impact its immediate or broader geographic location? Equitable projects are sustainable projects. How does the project not just mitigate its environmental impact, but improve the sustainability of the surrounding community? 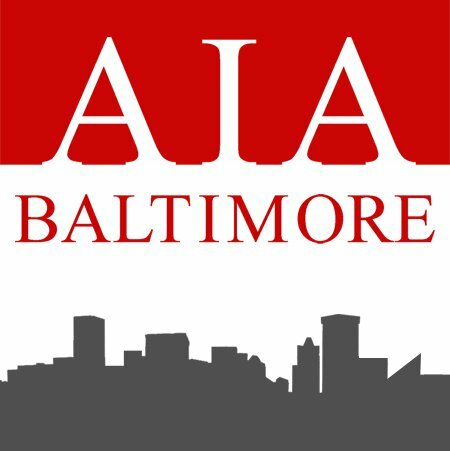 The process is the same as the overall AIA Baltimore Excellence in Design Awards.